In sizes from 6″ to 24″, all hoops are made with Litik’s special “Easy Tuck” design that features a groove on the outside surface of the hoop. This provides a spot for extra skin to be tucked and allows the hoop to fit nicely into the counter hoop. The Easy Tuck design also provides one extra 90 degree angle to hold the skin in place on the hoop. True to it’s name, the Easy Tuck hoop does making tucking skins remarkably easy to do yourself. – Standard Hoops for concert/orchestral bass drums are available in 8mm square hoops in 28, 32, 36 and 40″. Other sizes are available upon request. 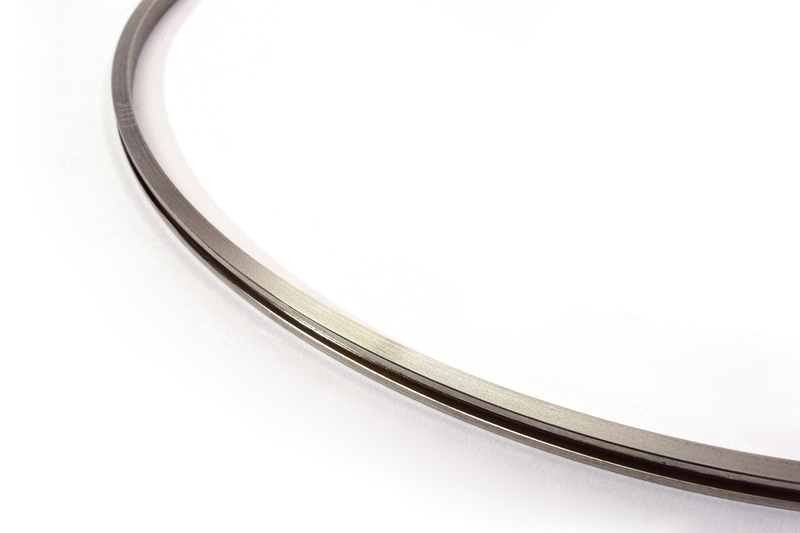 Hoops are offered in standard sizes that fit modern counter-hoops. If you have vintage drums from the before the time that sizes were standardised: no problem, we can have custom hoops made for you without breaking the bank. Even if you have a set of old baroque timpani that are no longer round, we make hoops that can fit your kettles and counter hoops.